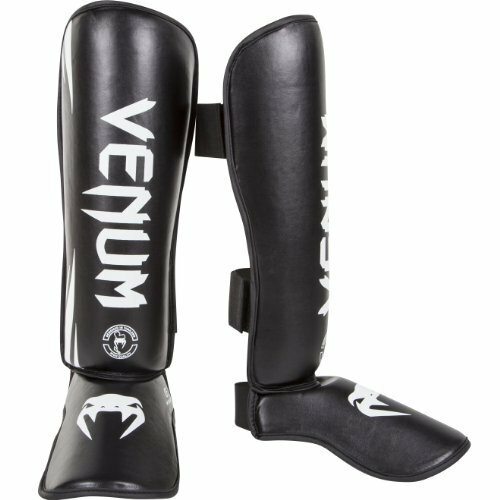 Venum’s Challenger Standup Shinguards are like armor. The foam padding is about 3/4 inch thick, and the shin protection is absolute. I do wish they would have focused the padding more in the shin area and less on the outside. I find that when checking kicks it could be easy to get into a bad habit of not turning the shin out, simply because you cannot really feel the difference of bad technique. The padding over the foot is slightly more flexible, and only about a 1/2 inch thick. 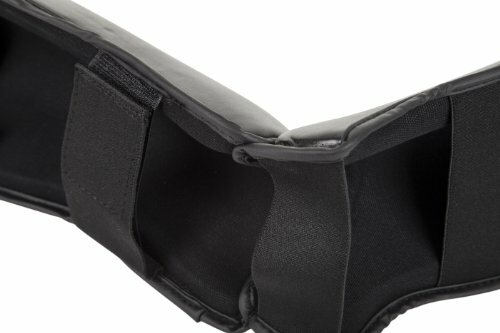 The instep/foot padding meets with the shin cover to provide great coverage for the small bones in the top of the foot. The padding is not cumbersome, however, and it’s easy to stay on the balls of your feet and move freely without the foot padding getting in the way. As far as sparring, even when my partner is using the shoddy Century slip on shinguards, checking kicks is a breeze. Like I said, it’s almost too painless, if that makes sense. The only thing I feel when I check kicks, are bruises from when I wore the slip on pads. Feedback from sparring partners has been good, you can land quite a few solid round kicks to the body and legs without having to hold back much. The foam padding really is top-notch. I’m 5’8 170lbs, size 10 shoe, and got the medium size. They slip on nicely through the foot and ankle straps, but the velcro straps aren’t my favorite. The straps have some stretch to them, but for some reason the calf area seems a bit compressed, and I feel it after class. I do have slightly large calves for my height I suppose, but it’s worth mentioning. Other than that, the fit is perfect. I’ve worn them through our warmup and footwork drills a few times, and there’s no problem doing full lunges, burpees, sprawls, and so on. The fact that you don’t have to pull them back up or adjust them over your shins repeatedly is a big plus. I think the foot and ankle loops play a big part in that. My only complaint in the comfort department is my calves, but I could be just built goofy also. 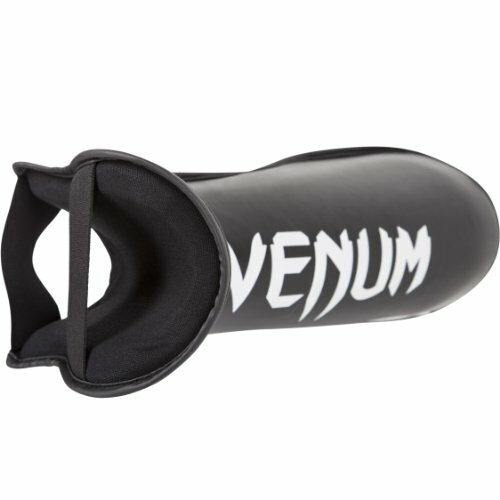 For the cost, you can’t really complain about Venum’s product line, especially the lower end models. 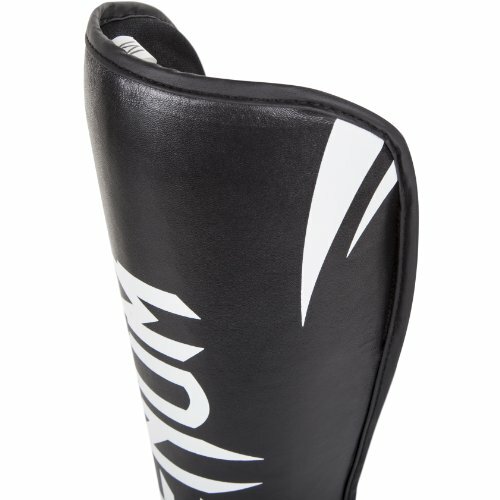 These are great quality novice and amateur shinguards for the price. They are synthetic leather, so eventually they may start to peel and become smudgy. After about 50 hours of use, they are still going strong and show no signs of wear. My main concern are the velcro straps, if they become compromised the shinguards will be useless without replacing the straps entirely. Unlike some shinguards, a little tape would not fix the strap problem, as the straps are not a part of the padding itself, they are stitched on. Depending on the surface that you train on, the foot loop will likely wear out at some point as well. With all that considered, my initial feeling is that these will last a minimum of two years with proper care, and consideration for the velcro straps. For the overall value, you really can’t complain. 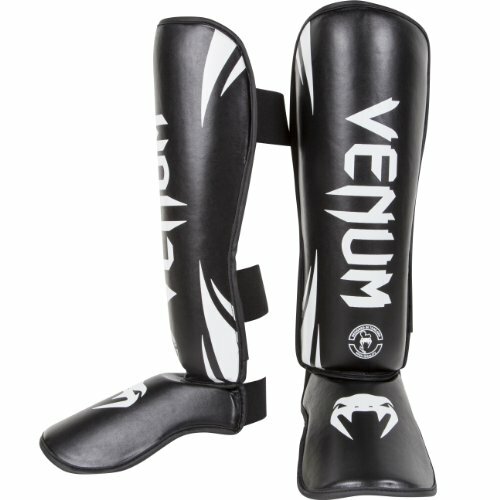 Venum’s design for these shinguards seems pretty well thought out. I like that the foot protection flexes with your foot, as opposed to flopping with it as some shinguards do. The top of the shin below the knee is amply covered, saving your partner from those inside leg kick checks. Again my only complaint on design is the velcro and the excessive padding on the sides of the shinguards, and this complaint is pretty minimal. Visually these shinguards look great, black and orange with Venum’s graphic. Several colors are available from their website. 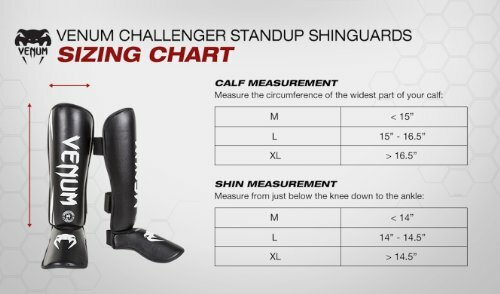 There are plenty of decent shinguards, but few with the overall value of the Venum Challenger. Price fluctuates on size and color options as well, so do your research before buying. I’ve used Venum gear before and have pretty much always been happy with the product. I picked these Venum Challenger standup shinguards up hoping for a little more protection than the slip on pads I was using. 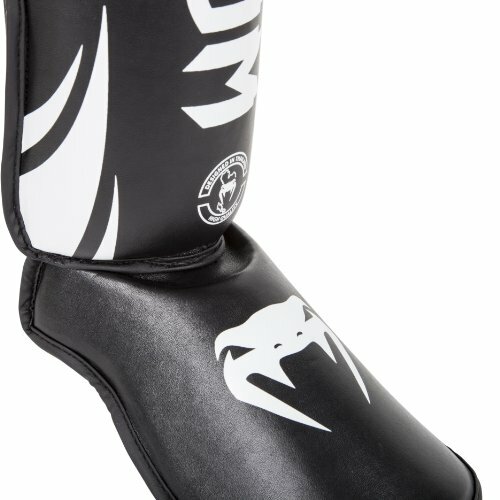 They’ve saved my shins and my opponent on the heavy sparring days, and have held up beautifully under daily use. It’s like having body armor, but without the encumbrance. 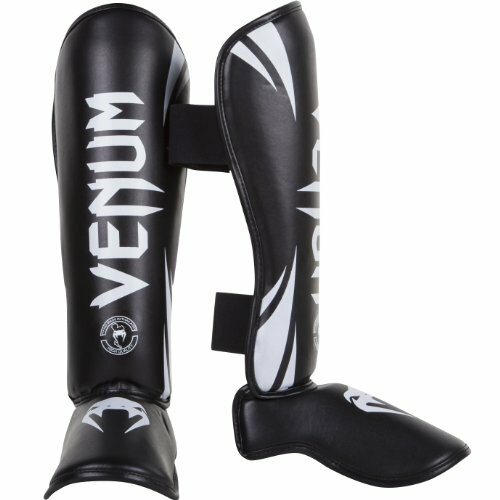 I purchased these Venum Shinguards at full price. This did not affect the outcome of the review, written after 1 month of training with them. Comment from discussion Venum Challenger Standup Shinguards Review.